Welcome to our third week of action about ‘Personalised Care and Population Health,’ our national programme about the nursing, midwifery, health visiting and AHP contribution to public health. 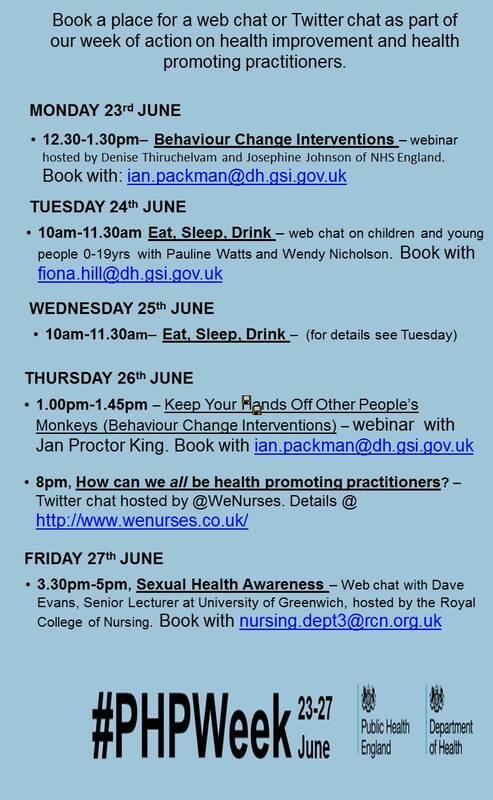 This week focuses on health improvement and the importance of being ‘health promoting practitioners’. 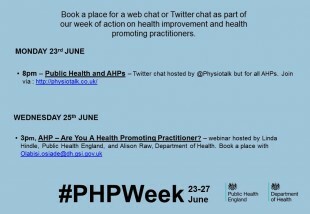 With the recent appointment of Alison Raw as our AHP lead at the Department of Health and with Linda Hindle as Public Health AHP lead at Public Health England, I am delighted that, with their support, we are now able to expand our scope of the week of action to the AHP community. Welcome to you all! Health improvement and health promoting practice challenges all of us to consider how we develop our practice to support the best health outcomes for our patient’s families and communities. It also challenges us come together to maximise our contribution to population health and be an active and visible part of building a culture for health. Nurses, midwives health visitors and allied health professionals (AHPs) combine to make up a very large percentage of the health and care workforce and have millions of contacts with people, their families and communities and thus have a huge potential for making a big difference to population health. Population health requires a multi-level, multi-agency multi-professional, and partnership approach and I hope it will become clear through the blogs, articles or case studies published this week what this means in practice and where opportunities may lie to develop stronger relationships. Kevin Fenton, National Director for Health and Well-Being at Public Health England, has recorded a video message for our week (http://youtu.be/Ir3_BDx3W6I) and some of our other bloggers will return to this theme. We also take a ‘population health activities’ view of some other important areas. 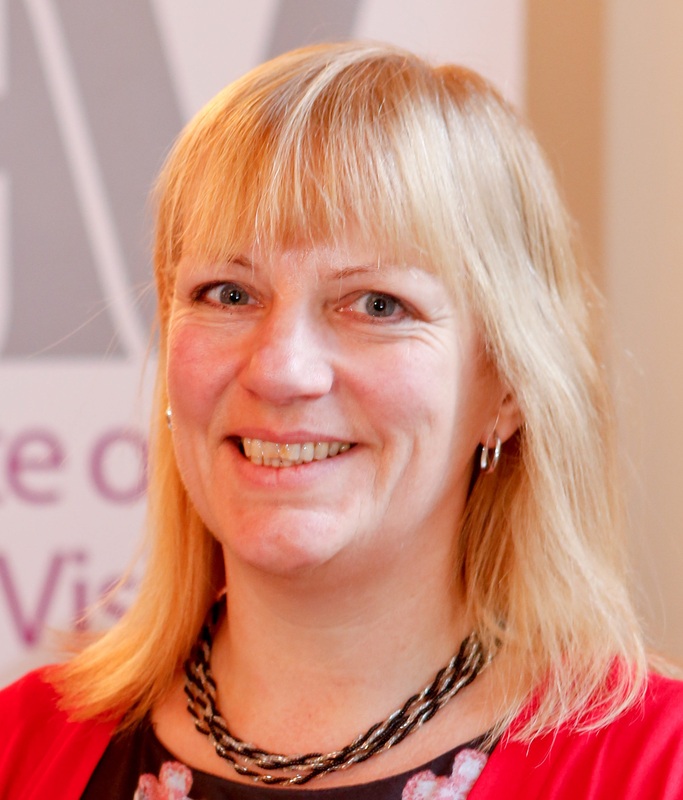 We have a blog from Dame Philippa Russell, Chair of the UK Standing Commission on Carers, due for publication on Thursday, that makes explicit the need for working in partnership with carers to meet the challenges they face as our population has increasing numbers of people living for longer with one or more long-term conditions. We have a blog from Dr Ruth May's (Regional Chief Nurse for NHS England Midlands and East) blog on pressure ulcers as a population health issue, (due for publication on Tuesday) and from Kate Hall and Laura Simpson 2 registered Care Home managers about health improvement and supporting independence in the Care Home setting. Fully behind your objectives; but why isn't it #HPP Week please? We hope it goes well. 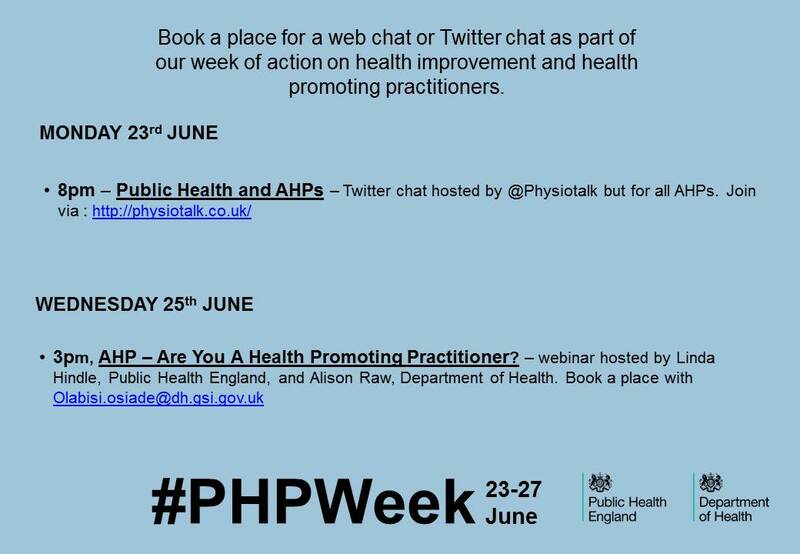 #PHP stands for population health practice/practitioners and represents a series of engagement exercises we are doing around public health nursing, midwifery and AHPs. 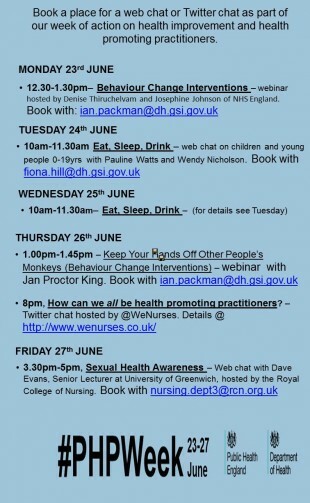 This week of action on Health Improvement and Health Promoting Practitioners is just one area. Others include for example health protection and healthcare public health.